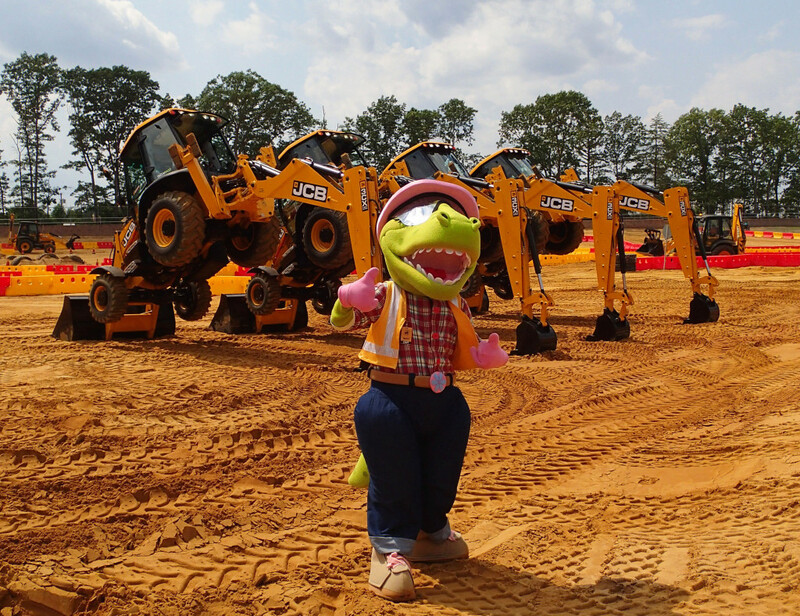 While details haven’t been revealed yet, the unveiling will be presented as a birthday gift for the mascots and will follow a 2:00 PM performance by the Dancing Diggers. “The Dancing Diggers are truly a unique talent and with the majority of our machines being made by JCB, having the performance on our one year anniversary is a perfect fit,” said Ilya Girlya, co-owner of Diggerland USA. The Dancing Diggers’ show at the event will be one of just two performances planned for the year in North America. The Dancing Diggers bring heavy machinery to life through theatrical performances by the JCB Stunt Team, led by Neil Smith, the stunt show driver who races the World’s Fastest Backhoe. Read our full review of Diggerland USA! Diggerland USA opened to the public June 14, 2014 and features 24 attractions, including the newly added WorkMax UTVs. Most of the attractions at Diggerland are comprised of modified JCB equipment allowing children and their families to drive, ride and operate heavy equipment in a safe, family-friendly environment.